The Excellence in Structural Engineering Awards Competition takes place each year to recognize creative achievement in structural engineering via innovative structural designs and individual contributions that advance the profession. We are pleased to announce submissions are now being accepted for the 2019 Excellence in Structural Engineering Awards, the 40th annual awards event conducted by the association. 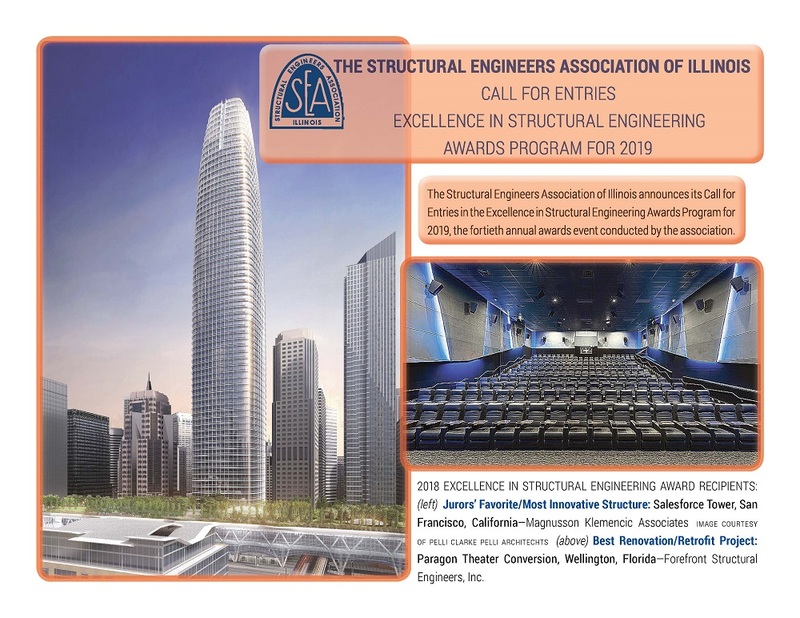 Project submission information can be found at 2019 Excellence In Structural Engineering Awards; full brochure is available by clicking on the image below. The winners are announced at the Annual Awards Banquet each year. Awards are given in the categories listed below. Read the complete list of winners through 2018!